We offer this CRC Metal Scraps line in bundles as per the industry set standards and can also be customized as per the needs of the clients. We deal in CRC punching and corner cutting scrap.We have variety of c.r.c punching of rust free material .We have different sizes from 0.5mm to 3mm thick. 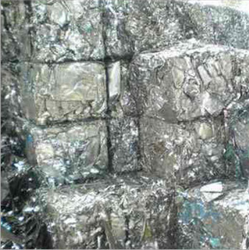 Scrap Form of Stainless Steel 316 Foundry Scrap / 316 Plate Cutting Scrap: End pieces of Bars, Ingots Butts, Round Offcuts, Square Billets, Foundry Type, Plate Cuttings, etc. We are counted amongst reckoned names in the industry, committed towards trading, importing and supplying CRC Dal Scraps. Driven by an intense desire to attain maximum client approval, we provide patrons with the premium quality of CRC Punching Scrap. Keeping in mind ever-evolving requirements of our respected clients, we are offering a premium quality array of CRC Scrap. Its pcrc material quality, soft sheet , we are having all types of gauzes in it, shearing quality is there wid us.